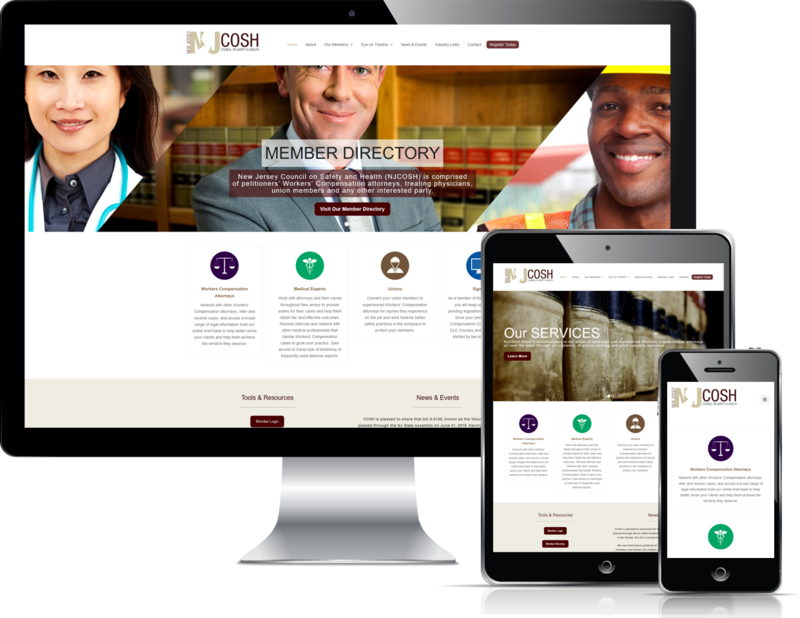 NJCOSH is a non-profit membership organization of petitioner worker’s compensation attorneys, treating physicians, union members, and other parties. The organization advocates for the rights of injured workers and their families in New Jersey. Stonehouse Media created a content-managed web site integrating third-party membership management software features. Stonehouse brought the content to the forefront, made joining the organization easy, added database-driven features like a member director, and built login-protected access to member records and industry white papers. This approach balanced providing public information about the organization with recruitment of and service to members.